Becca Kelly was diagnosed with cancer at a time in life when it was the farthest thing from her mind. Age: 27. Cancer: Hodgkin lymphoma. Thinking initially it was simple strep, she grew short of breath and felt continuously fatigued. An eight-hour shift at the day care where she worked sent her straight to bed. “I was so weak I would have to sit on my bed to dry my hair,” Kelly says. A trip to the regional medical center confirmed the worst. A tumor was growing on her right lung. Kelly’s cancer is found in a category of disease known as lymphoma. Lymphoma starts in the immune system, which then delivers the disease to other parts of the body. Knowing the type of lymphoma, however, is crucial to determine effective treatment and a positive outcome. Hodgkin lymphoma gets its start in the body’s white blood cells, specifically the B lymphocytes. These B cells do the work of making proteins known as antibodies, which protect the body from disease-causing bacteria and viruses. Because lymph tissue can be found throughout the body—so better to protect us from a continual onslaught of germs—so Hodgkin lymphoma can pop up just about anywhere. But most commonly it is found in the chest, neck or under the arms. The good news is Hodgkin lymphoma typically contains itself to these specific parts of the body, thus making it a good candidate for treatment. In the past, treatment protocols called for chemotherapy to attach the cancer, but more recently radiation has been found to serve as the most effective antidote for the disease. That’s where proton therapy comes in. Hodgkin lymphoma often lodges in areas of the body located near sensitive and important organs such as the heart and lungs. As a result, radiation exposure can cause long-term damage and create higher risk of long-term health problems such as heart disease and secondary cancer. At one time, it was thought that irradiation of larger areas surrounding the cancer site provided better long-term results. But in recent, treatment protocols have shifted to recommend a more targeted approach. In 2014, the International Lymphoma Radiation Oncology Group advocated focused radiation on the tumor site and reduced exposure to surrounding tissues. That makes proton therapy a good choice for lymphoma patients, particularly those whose cancer is isolated to a primary location in the body and who are younger, as Kelly was. 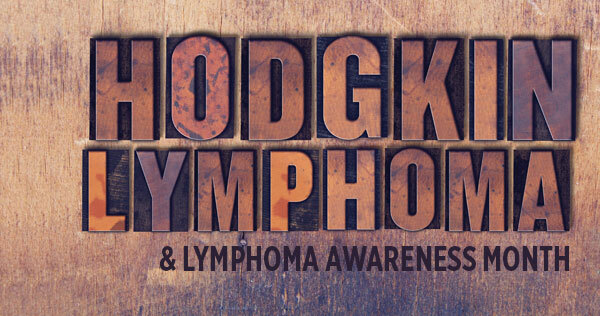 Non-Hodgkin lymphoma, on the other hand, typically attacks older adults and the very young. This lymphoma forms either in the B lymphocytes or in the T lymphocytes, or T cells, which perform the same function in the body. Some non-Hodgkin lymphomas start slow and spread gradually. Others are more aggressive. They can grow in nearly any part of the body. This type of lymphoma also can be successfully treated by proton therapy, depending on the cancer’s type and spread. Medical research has proven proton therapy for lymphoma results in significantly less exposure to radiation than conventional radiation methods such as mediastinal radiotherapy. And several studies have shown patients with Hodgkins lymphoma to have equivalent short-term survival rates to those treated with conventional photons. Kelly’s “faith in God and my support system here at home” helped get her through chemotherapy she says. Doctors then recommended she receive proton therapy at Provision CARES Proton Therapy Center because of the damage conventional radiation could do to surrounding healthy heart and breast tissue. When she walked in the front doors, she said, it felt like home. “As soon as we walked in I fell in love with the whole place,” Kelly says. After meeting with the doctor, care coordinator and the financial services manager, she was approved for treatment at Provision. At Provision CARES Proton Therapy Center, we have successfully treated patients like Kelly with lymphoma and currently have patients under treatment for this rare cancer. Anyone diagnosed with either Hodgkin or non-Hodgkin lymphoma should consider getting a second opinion from a proton therapy center. It might be the right treatment option for you too.